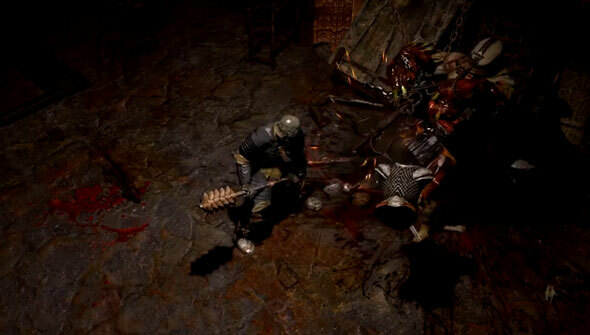 Path of Exile is the dark fantasy world of Wraeclast, an island for the condemned. Players can choose one of seven character classes specializing in one or two core attributes: Dexterity, Strength, and Intelligence. Each place is also inhabited by the a-typical rare and champion packs of mobs who are usually modified with dangerous auras and/or buffs to increase the panic levels in most would-be adventurers. PoE Skill System is based on essentially finding or acquiring skill gems as quest rewards that you can freely plug in or remove from your gear sockets. These provide you with abilities, spells, or cool-downs usable by your character. Passive Tree is chock-full of nodes that basically enhance these abilities or grant you passive skills that further empower your character. The spectrum ranges from increased physical damage to spell damage, casting speed, health and/or mana, stat increases, or even increased damage by an elemental type. When you create a character in Path of Exile, you choose a league for that character to exist in. Characters can only see and interact with other characters in the same league. In this way, each one is its own isolated economy. The default league is extremely large and hence acts as a general economy for all characters that were not created in a specialist league. All characters in a league have access to the same shared stash pages. At the start you can look for a League to decide. The standard League is the Norm. In addition, there are also leagues in which slightly modified the rules of the game. So there is a spin-off with faster monsters, or a League in which the death of the hero means the final exit from the race. In the new Bestiary challenge League, you can explore starting on Friday night targeted the new possibilities in Path of Exile. There are Race Seasons where one can accrue points based on how well they did in the particular races; this is to earn unique item rewards and other various things that are proven to elongate the virtual peen. Numerous races are scheduled throughout the week and have a completely different set of rules dependent on the type of race it is.